Here's my list of tempting gift ideas for that special photographer in your life, and that includes you! 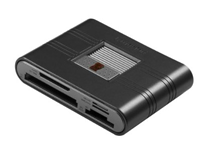 We start with the super affordable Kingston card reader at $11.95 and work our way up from there. Some of these selections are my perennial favorites, while others are brand new for this year's Top 10. $11.95 -- The Kingston 19-in-1 USB 2.0 Flash Memory Card Reader. I've been using this reader for a few months now, and I love it. Everyone else likes it too because people are constantly asking me where I bought it. $12.37 -- The Giottos AA1900 Large Rocket Blaster. Nothing works better than a Rocket Blaster for cleaning lenses and sensors. I'd love to have a dozen of them. 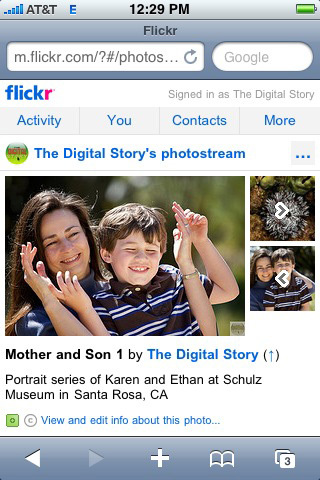 $16.49 -- Signed copy of The Digital Photography Companion. Just send me your mailing address and I will send you a signed author's plate for inside the book. $21.95 -- The Joby GP1-E1EN Gorillapod Flexible Tripod for compact cameras. Super light, versatile and affordable. They also make bigger sizes for bigger cameras. $23.25 -- The Pedco UltraClamp Assembly. With this device, you can convert any roller suitcase into a light stand or tripod, not to mention a table, chair, shelf, and dozens of other common items. Super handy. 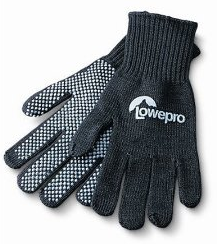 $29.95 -- Lowepro Thermax Photo Gloves, Large for any cold weather activity where you still need to work delicate equipment. Soft, warm gloves made of Lycra, with DuPontÂ® ThermaxÂ® to wick away moisture, and Control Dots to ensure a firm grip on delicate camera and tripod controls. Ideal for cold weather photography and bicycling. $49.95 -- The Photoflex MultiDisc Reflector 5-n-1 Kit 22". You can tackle just about any outdoor portrait assignment with this super cool, super handy reflector and diffuser kit. $89.95 -- The Lowepro Fastpack 250. For that shooter on the go who needs to carry a laptop too. Holds DSLR kit, personal items, and still fits anywhere on an airplane. My favorite bag. $149.95 -- The Nikon 8221 Trailblazer 10 X 50mm All Terrain Binoculars. These terrific binoculars are great for outdoors, sporting events, and just about anywhere else you need a closer look at the action. They look great too! $429 -- The Canon PowerShot S90. I think it's the best subcompact on the market right now. Shoots high ISO, includes a fast f/2.0 lens, and is beautiful. 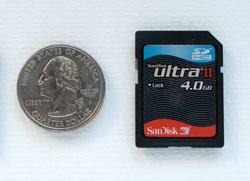 Super compacts that pack a big wallop are useful additions to any photographer's arsenal. Yes we need our DSLRs for serious shooting, mostly planned activities. And the new system cameras such as the Olympus E-P2 and Panasonic GF1 are great when we want to travel a little lighter. But a compact that slides into your front pocket as you're heading out the door for dinner is important too. It allows us to capture the shots we don't plan. 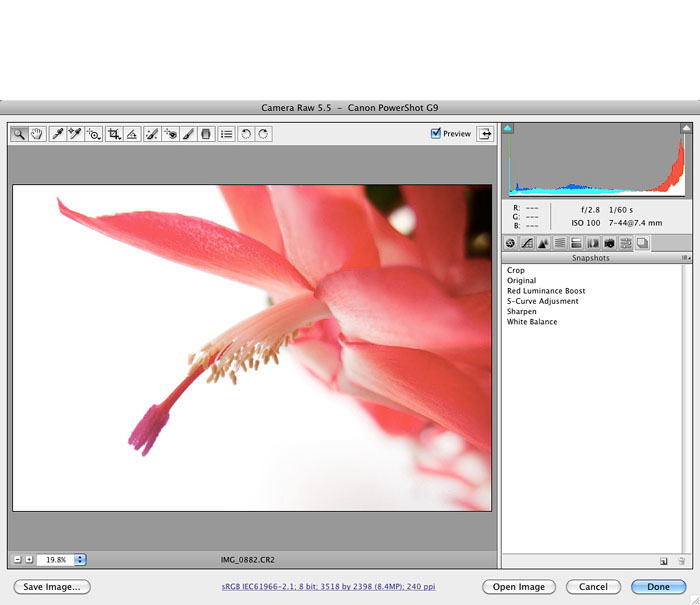 And if it can produce a high quality image in Raw format, then that unexpected shot could become a prize winner. In this podcast I discuss three super compacts that have pro level capabilities: the Canon PowerShot S90, Panasonic Lumix LX3, and the Leica X1. The Canon is selling for around $430, the Panasonic in the $485 neighborhood, and the Leica, well, it's a Leica ($2,000). There are other interesting cameras in this category, but these three really caught my eye, and I explain why in the show. You can also download the podcast here (28 minutes). Or better yet, subscribe to the podcast in iTunes. Here are a few of my favorite tips for ACR, one of the most versatile non-destructive image editors available. Techniques include sharpening, snapshots, and how to master the Basic tab. In this podcast, I share the highlights from my recent talk at Photoshop LIVE in Washington DC. 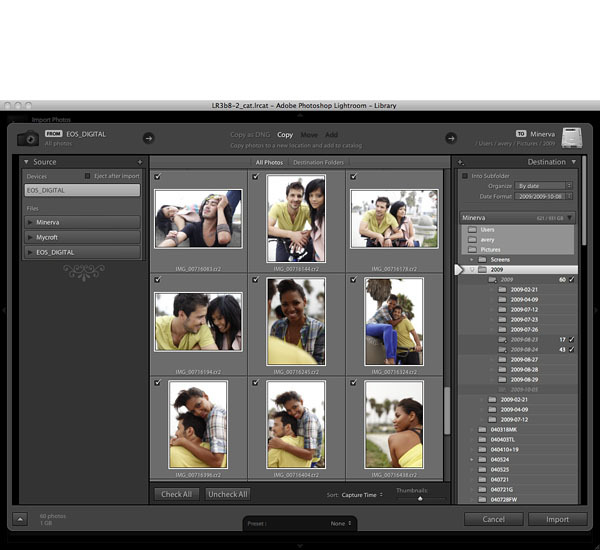 Tom Hogarty, Lightroom senior product manager, talks about Lightroom beta 3 that was announced on the eve of PhotoPlus Expo in New York. What I wanted from this interview were aspects of this release that excited Tom. And he was more than happy to tell me. We recorded our chat in Javits Center the day after beta 3 had been posted. Lots of great insights here, and if you plan on trying this version, you need to hear what Tom has to say. 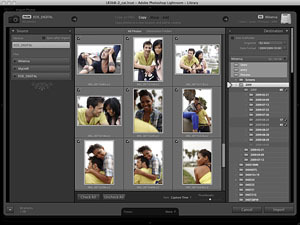 Lightroom 3 Public Beta is available now for download at the Adobe Labs site. You can compare notes with others via Adobe's community forum. You can also download the podcast here (18 minutes). Or better yet, subscribe to the podcast in iTunes. Feet is the Oct. 2009 Photo Assignment. Shoes, bare feet, paws, manmade objects, my gosh there are so many possibilities. You can read more about how to submit on our Member Participation page. Deadline for entry is Oct. 31, 2009. 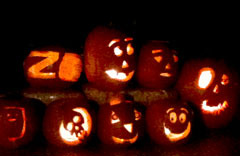 Halloween can be a frightful experience with a compact camera. How do you get good shots under the most difficult photography conditions? Your best friend, regardless of the camera you're using, is a setting called Nighttime Portrait or Party. You'll find one or both of these in your Scene modes. They are perfect for evening Halloween shoots, whether you're outside trick or treating, or inside at a spooky gathering. In this podcast I tackle Halloween shooting and provide tips for every type of camera, from simple compact to DSLR. Is social networking valuable to photographers? Do you need Twitter, Facebook, and Flickr to be successful? That depends upon your goals. Whether you're an avid amateur shooter or an aspiring professional, you need to at least have an opinion about social networking, and the better informed you are, the more intelligent your thoughts will be on this subject. I'm going to discuss a little bit about what's worked for me. I believe in diversity. I like to have multiple revenue streams. I think photography and its related skills can be a great source of revenue in addition to being satisfying artistically. The danger of course with these new communication tools, is that you become absorbed with social networking and you lose sight of your original goals. I've heard photographers remark that they didn't "get any work" done today because they lost so much time online. And do you have to blog about every activity or post every shot you take? Like so many things in life, moderation is most likely the key to successful social networking. I'll discuss all of this and more during the show.